Yesterday was the first very warm day of 2017, reaching a temperature of 23 degrees C while there was still snow on the ground. I went to a favourite ravine to witness the spring flow and wasn’t disappointed. 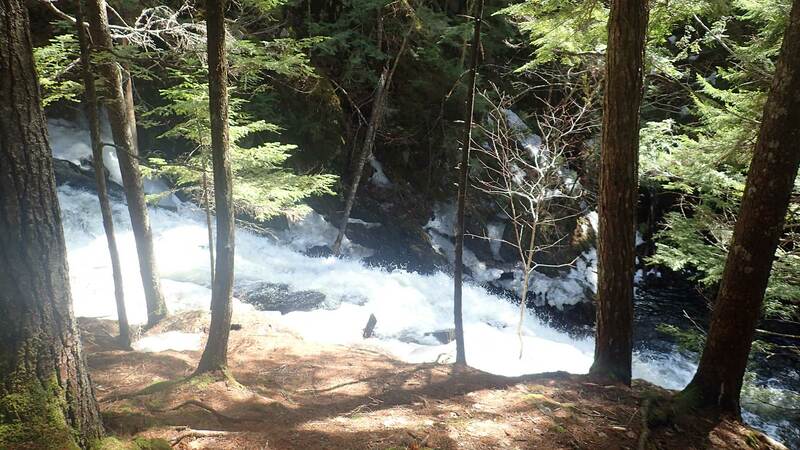 A torrent of water poured into the ravine which was lined by towering hemlock, red spruce and white pine with a few red maple and yellow birch in the mix. Beyond the immediate area of the ravine most of the land was recently clearcut or was perhaps 10-20 years post-clearcut. Some pine logs that had not been removed were well over 100 years old. A few large yellow birch were left standing. 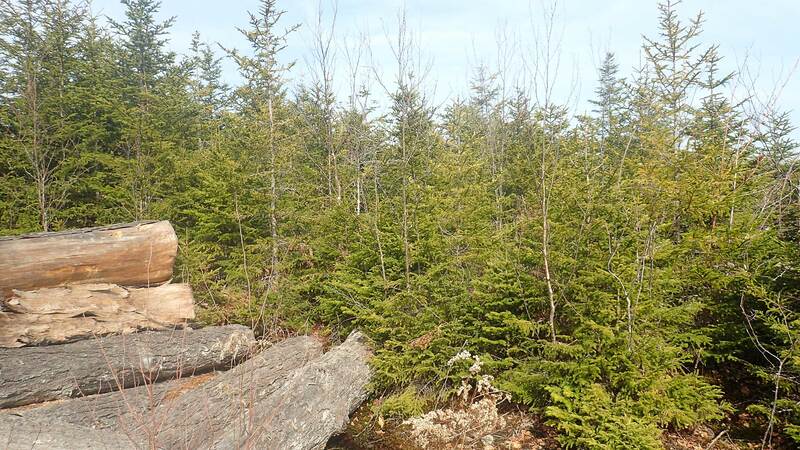 At one site I observed the pit and mound topography that records large tree windfalls in mixed, multi-aged Acadian forest. The area had been, like the forest around the ravine, a mixed, multi-aged Acadian forest, but now had “transitioned” to even-aged, fir dominated softwoods. I was reminded of several developing countries I have visited where the only places the native forest remains are around a few steep ravines. This entry was posted in Biophilia, clearcuts, Climate Change, Conservation. Bookmark the permalink.